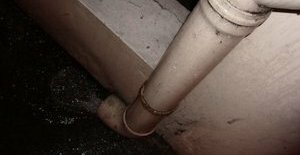 When your house becomes flooded with water, homeowners know they can depend on the water damage Spring Valley specialists at 911 Restoration of Westchester to get your home fixed up in no time. We understand the importance of quick, same day service when it comes to a water disaster, so our Spring Valley flood cleanup experts always respond within 45 minutes or less, no matter what time you call. Our office is available 24/7/365, so you can feel confident calling us at any time knowing that someone will be there to help you. 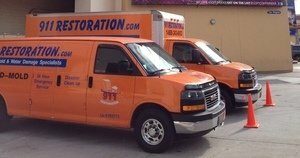 Call our Spring Valley water damage restoration staff today, and we will give you a free home inspection as soon as we arrive. Mold can’t grow without moisture, so getting wet areas in your home dry right away will help prevent an infestation. If you’ve experienced a flood, the Spring Valley water cleanup pros will remove water-soaked carpets, bedding, and furniture from the area and put them in a well-ventilated place to they can dry out. Our Spring Valley flood removal crew knows how to get your household dry and clean after it was been invaded with water, so call us today and our IICRC certified team will make sure your home is mold-free. Customer service is very important to the Spring Valley plumbing professionals, and we hope to always make homeowners feel welcomed and taken care of when we arrive. We understand that we are in your home, and how important it is to get your living space cleaned up and put back together after it has been struck by a flood, leak or other invasion of water. Our Spring Valley water extraction technicians will do all they can to get you fast, efficient and affordable water damage restoration services. We will be making use advanced drying equipment to ensure water is thoroughly removed from your home. We care about your wellbeing, and want to make you feel comfortable every step of the way, so call our water damage Spring Valley team so you and your home can get a fresh start right away!